Despite existing-home sales dropping last November, the National Real Estate Market is primed for expansion in 2016. Here's why. Better weather in many parts of the country resulted in an increase in single-family and multifamily home construction. Also, the population of millennial homebuyers is expected to grow in 2016. This means increased demand to help the housing market see positive gains. With unemployment steadily decreasing, orders for new durable goods increasing 3 percent, inflation staying level, and income beginning to grow, the Fed decided to raise interest rates. The rate increase signals that our economy is getting stronger. So, don't let the drop in existing-home sales in November fool you, with a stronger economy home sellers can expect eager home buyers in 2016. The low demand in November meant that first-time home buyers had only a 30 percent share in demand, which is slightly down from 31 percent in October and last year. However, in 2016 home sellers saw an increase of first-time home buyers enter the housing market because of the growing segment of millennials between 25 and 34 years of age. The Census Bureau projects that the population of millennials aged 25 to 34 will increase by an average of nearly 500,000 per year in the second part of the decade. Also, NAR's inaugural quarterly Housing Opportunities and Market Experience survey reported that a large majority of millennials between 25 and 34 years of age who rent want to own a home in the future. The Federal Reserve raised short-term interests this month. Freddie Mac reported that the average commitment rate for a 30-year, conventional, fixed rate mortgage stayed below 4 percent, but rose from 3.80 percent to 3.94 percent in November. Mortgage rates are expected to rise to 4.50 percent by the end of 2016, but this rate is still historically low; a full percentage point below the rate during the recession of 2008. The low fixed mortgage rate should help spurn demand and encourage first-time home buyers to enter the market. But while the rate is at its current level, potential home buyers should keep an eye out for rate increases so that they're not caught by surprise when the spring buying season comes around. Early 2016 would be a good time for home buyers to start looking to purchase a home. Fannie Mae's fourth quarter 2015 Mortgage Lender Sentiment Survey™ shows that lenders expect to ease mortgage credit standards for GSE-eligible loans and government loans over the next three months. This should reduce the affordability problem for first-time home buyers. As a result, this will help young adult homeownership. 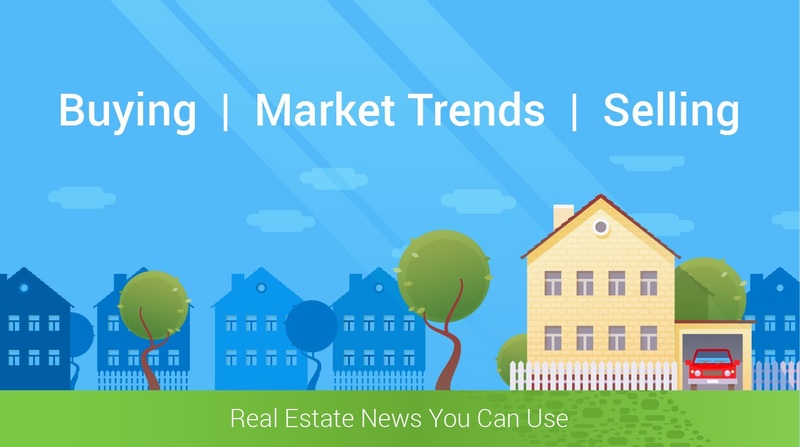 Although home prices will be high, all of this is good news for home sellers because they should expect an increase in demand for their home. In 2016, the first-time home buyer will have mortgage credit options available that were not available during the housing down-turn. First-time home buyers will have low-and no-down-payment mortgage loans available to them. Some loan options available include FHA loans and the conventional 97 percent program offered by Fannie Mae. Qualifying first-time home buyers need only to put 3 percent down on a home. According to the Mortgage Bankers Association weekly survey, the Refinance Index increased 11 percent compared to the previous week. So it appears homeowners have anticipated the Federal Reserve's increase in interest rates. If you're a homeowner with an adjustable-rate mortgage or a variable home equity line of credit, you should expect your rates to rise in 2016. The first part of 2016 will be a good time to refinance. Home equity lines of credit (HELOC) are both fixed and variable. Variable HELOCs are tied to the Federal Reserve prime rate. Whereas fixed HELOCs are not. By refinancing early in 2016, you'll afford any major life events that may occur such as daughter's wedding, high college tuition, or home renovation. The National Real Estate Market is on its way to expanding. The Federal Reserve raising interest rates indicates optimism in the housing market and the economy as a whole. The 2016 housing market will remain a sellers market that should see an increase in first-time home buyers entering the market because of the strong desire of homeownership by millennials 25 to 34 years of age, and easing credit standards and increases in wages. Homeowners with variable mortgage rates should expect their rates to rise in 2016, but early 2016 will be a good time to refinance so that you're that you won't fill the brunt of further interest rate increases.